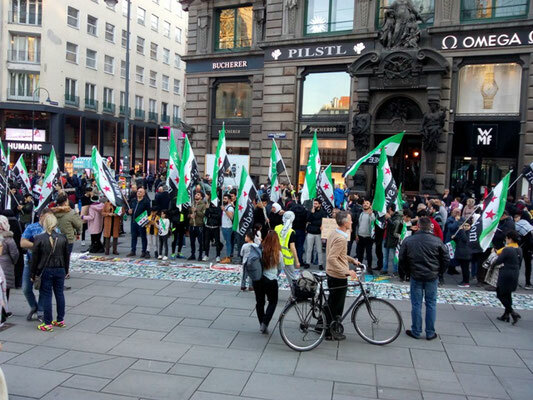 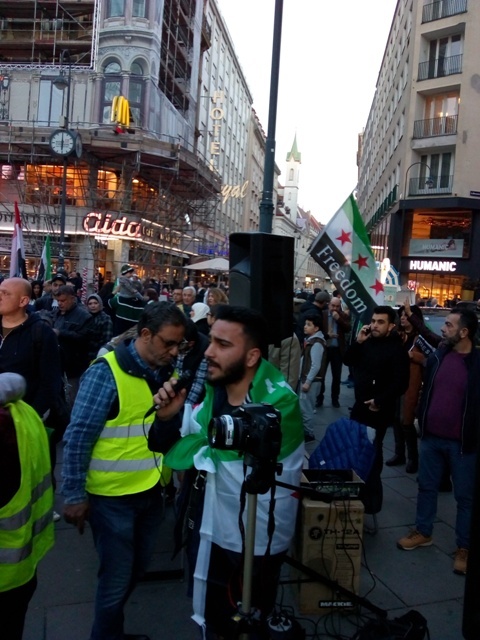 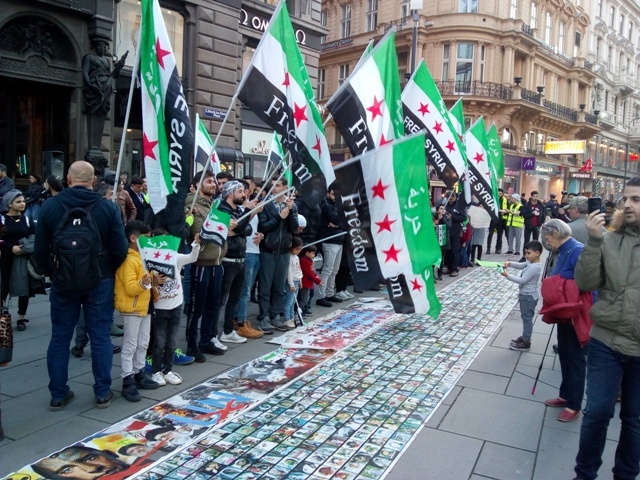 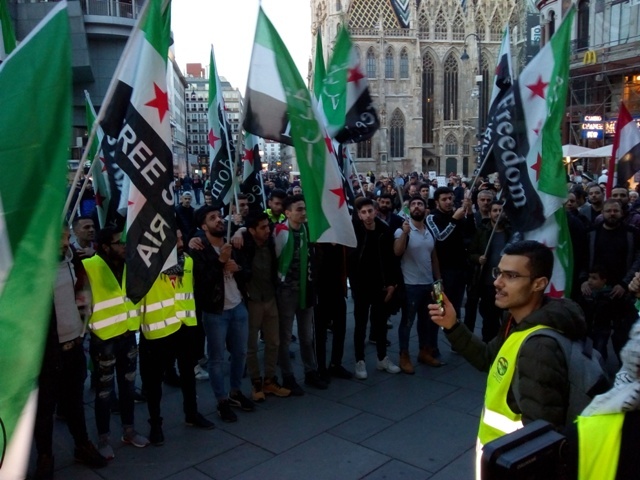 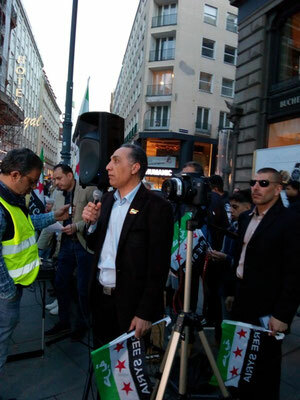 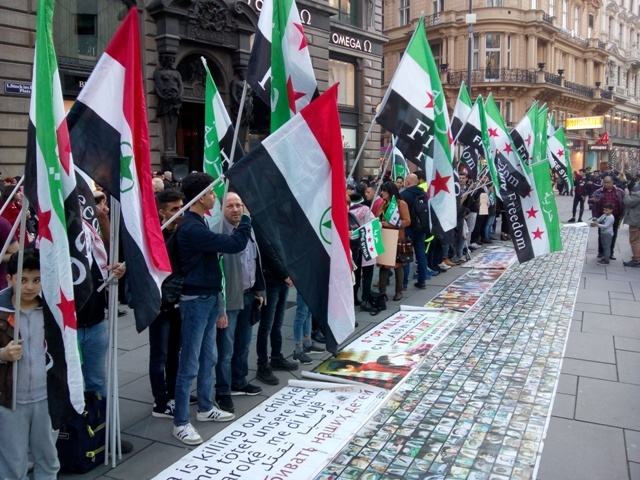 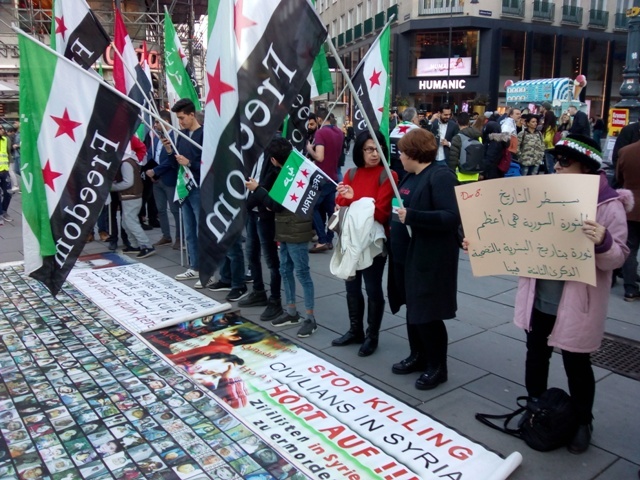 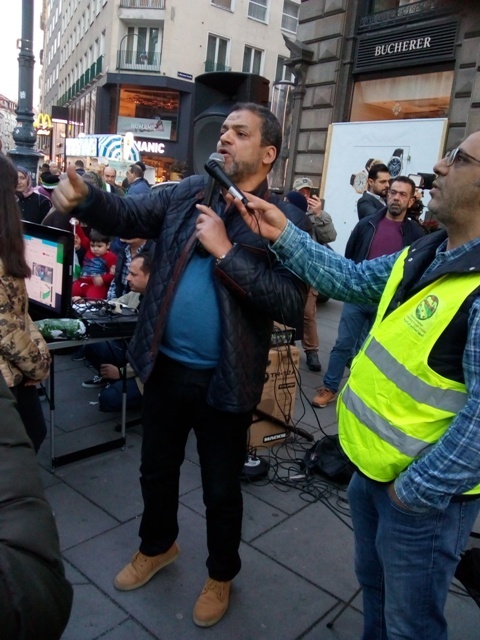 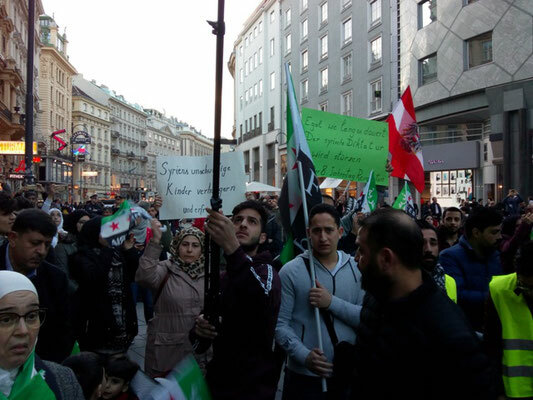 About 200 Syrian migrants as well as a number of solidarity activists assembled in the centre of Vienna at the 8th anniversary of the Syrian Revolution. 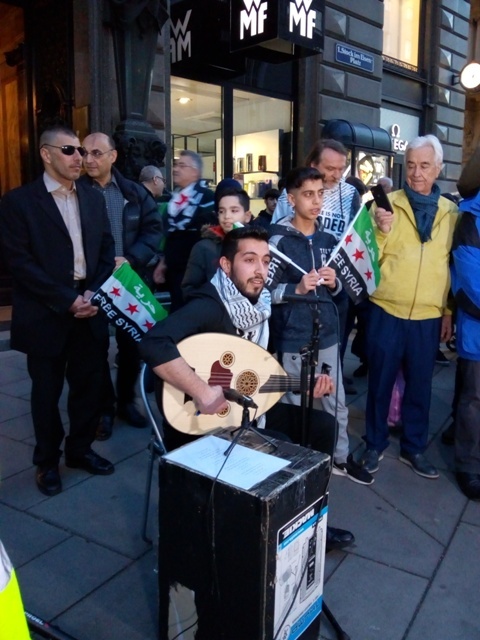 They expressed their unbroken support for the ongoing liberation struggle against the criminal regime of Assad and its Russian imperialist master in lively chants and songs. 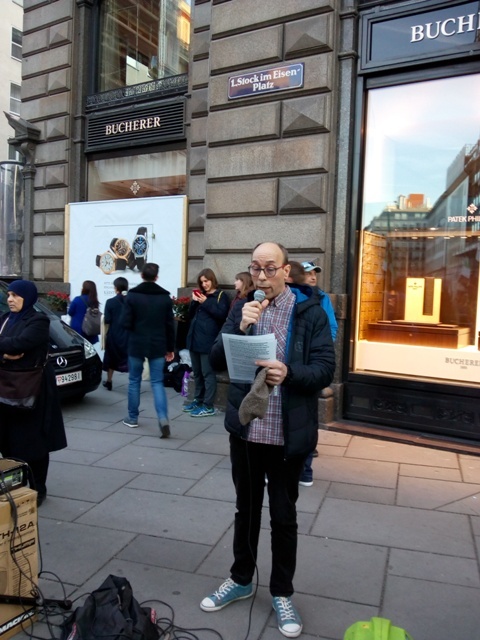 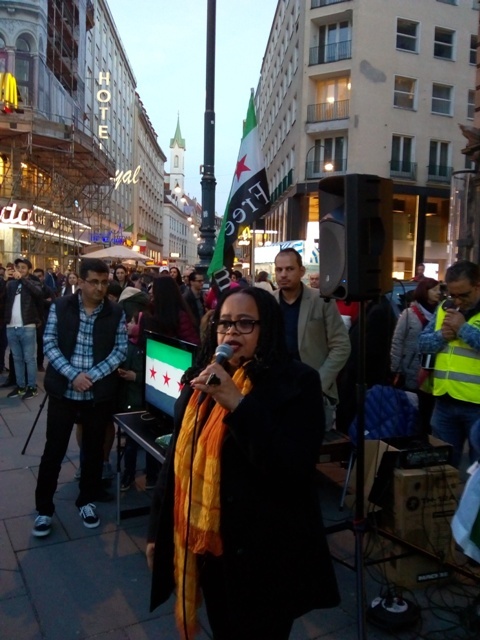 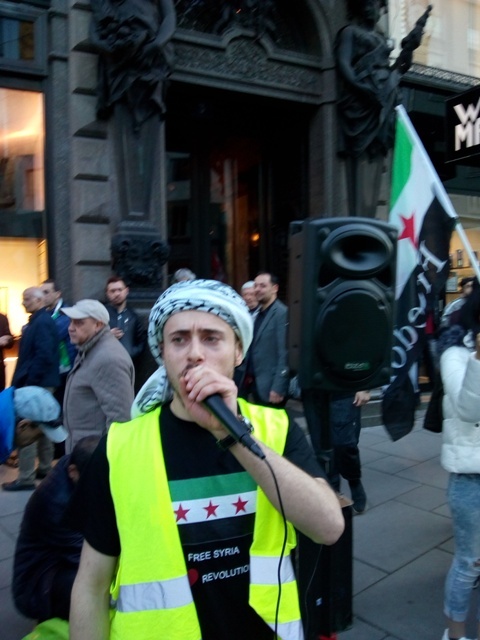 The rally was addressed by speakers from the Syrian, Egypt and Sudanese community, as well as by our comrade Michael Pröbsting, International Secretary of the RCIT. He condemned the slaughter of the Syrian people by the Assad tyranny as well as Russian imperialism. He emphasized the solidarity of the RCIT with the ongoing Syrian Revolution and stressed the necessity to link the liberation struggle in Syria with other struggles like those in Algeria, Sudan, Yemen, Egypt, Iran, etc.